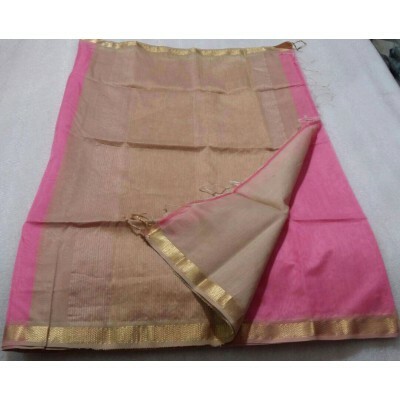 Lovely light Pink color of the saree contrasts perfectly with the radiant multi coloured border. 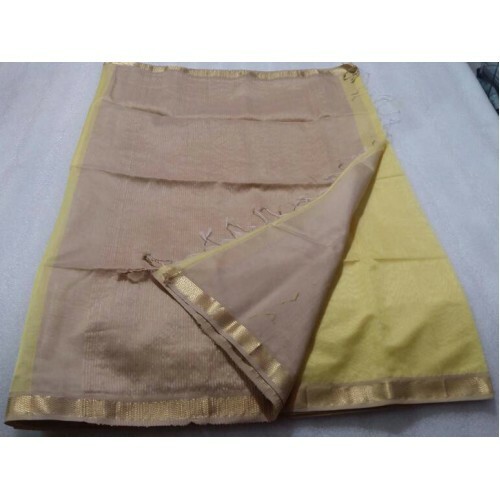 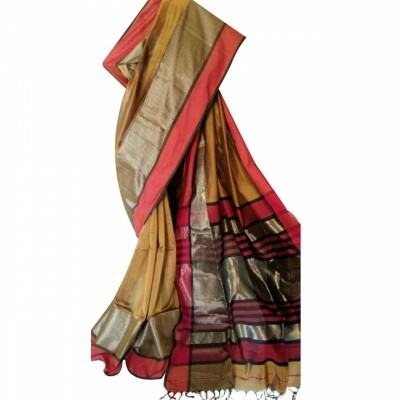 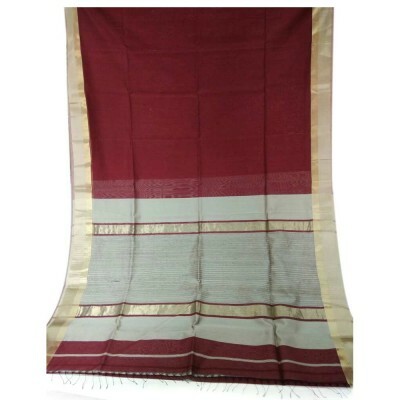 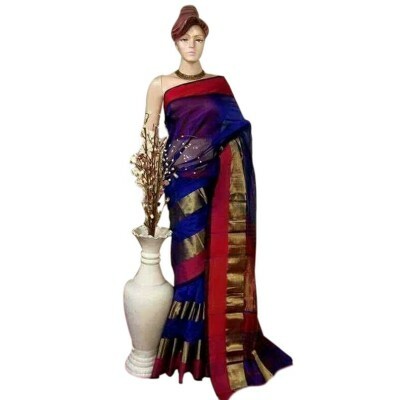 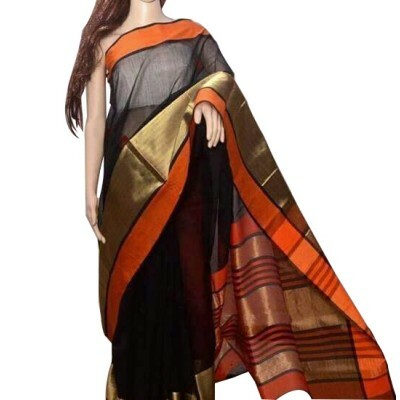 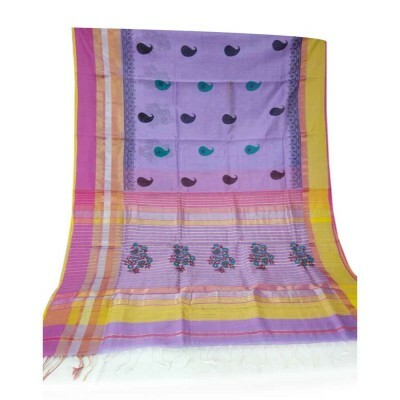 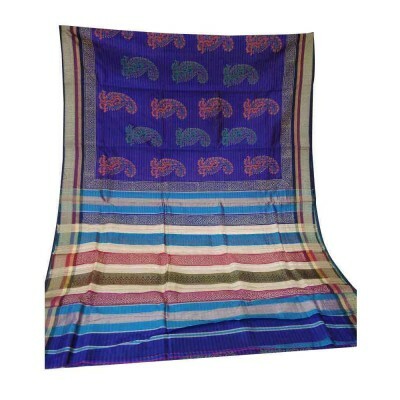 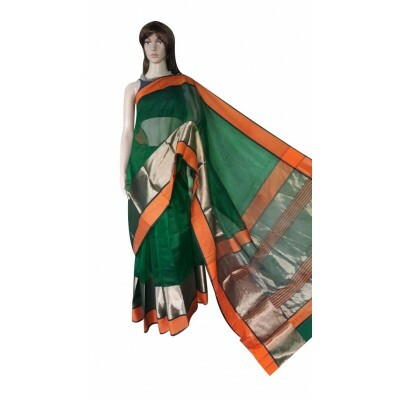 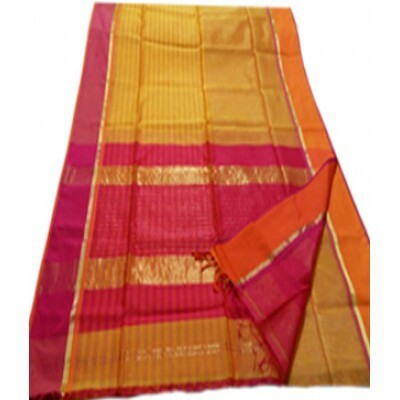 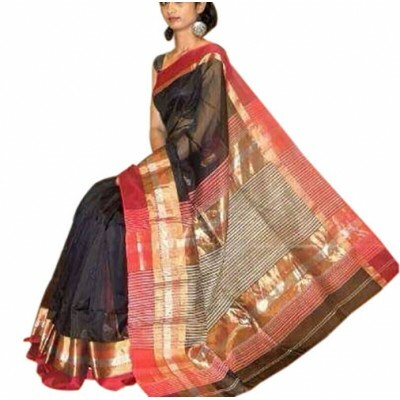 Natural weaving pattern adds radiance to the saree body colour. 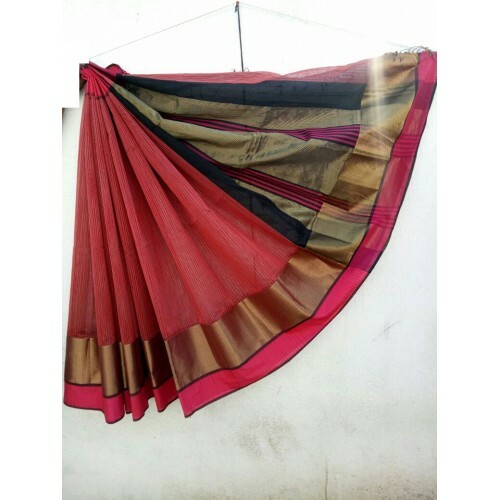 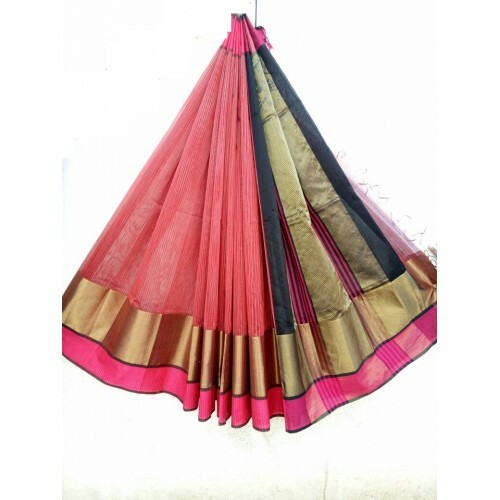 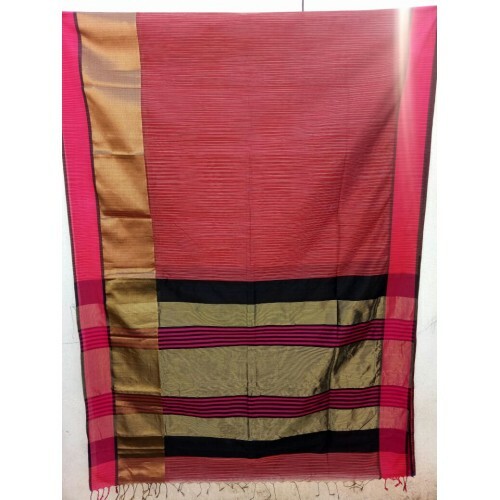 Across the pallu, there are bands of different shades of Pink and Black along with a broad golden zari colored and Black colored band, as well as interwoven strips and tassels at pallu end. 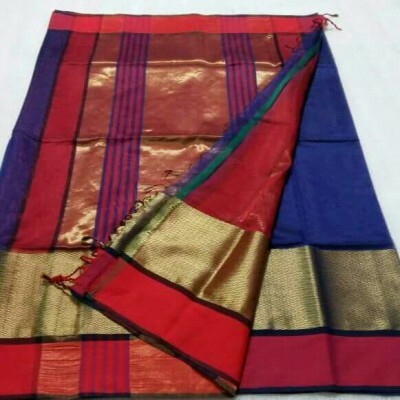 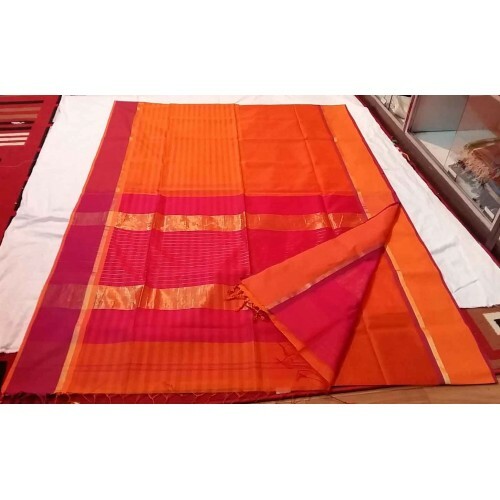 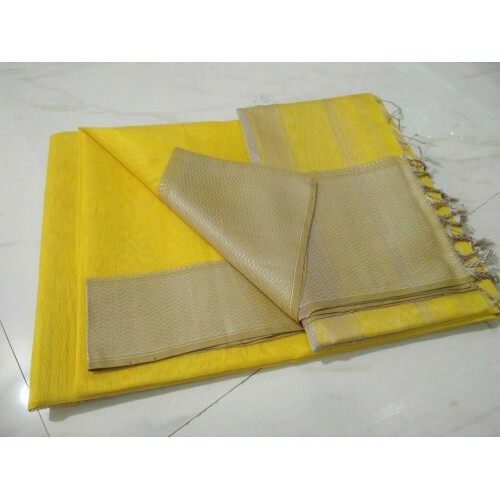 This Maheswari Cotton Silk Saree has Deep Blue body with attractive Majentha and Orange outer borders and broad interwoven Zari golden colored inner borders running along the body. 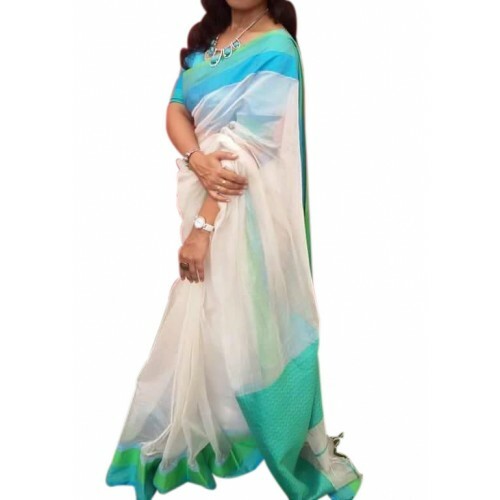 Elegant sheer Blue body of the saree with two broad Zari Golden colored interwoven bands brings out the best of the matching borders and graceful pallu. 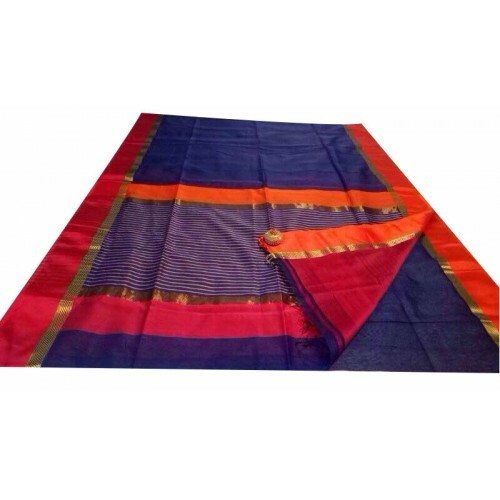 The attractive Majentha and Orange outer borders perfectly contrasts with the blue body colour of the saree. 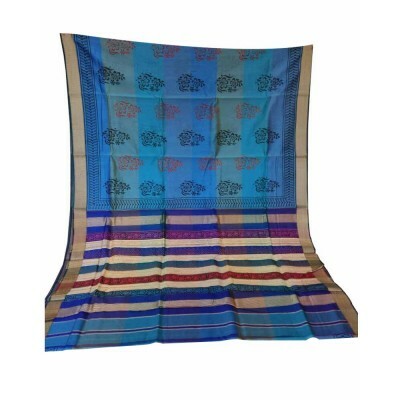 The pallu has strips of Orange, Majentha and Gold with White lines on Blue, and the interwoven Golden Zari colored border runs along the pallu with blue tassels at the end. 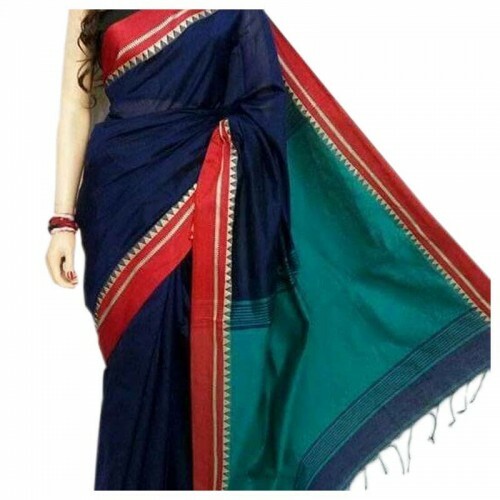 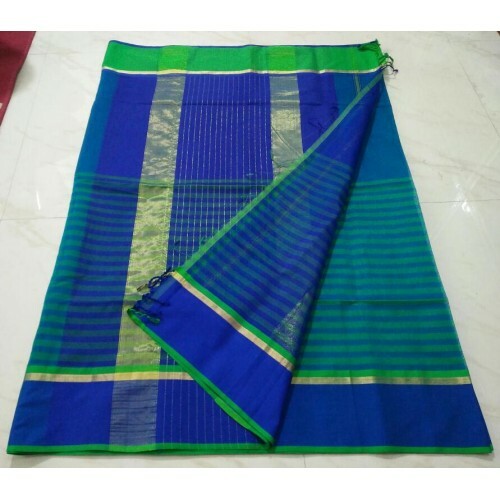 Lovely Blue body of the saree with broad interwoven Gold colored border, delivers a unique fresh look.